Between the food and music, festivals and museums, outdoor fun, shopping, restaurants, and night life, there is definitely something that everyone can enjoy in Lafayette, Louisiana! 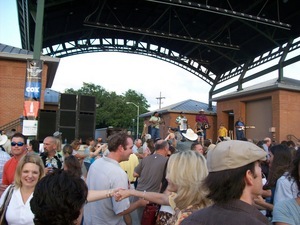 In the heart of Cajun Country, Lafayette is notorious for its undeniable French heritage, wide variety of delicious food, and highly anticipated music festivals. Don’t miss “Rhythms on the River” or “Downtown Alive”, two of Lafayette’s signature events, happening weekly and uniting community and culture while offering great entertainment in the form of FREE, family-friendly, outdoor concerts. The charm of Lafayette is the big city feel with tons of arts and culture, yet you’re only minutes away from some of the greatest hunting and fishing spots in the nation — perfect for any outdoors man! A recent issue of Southern Business and Development Magazine has named Lafayette as a Top 10 place in the South for the “creative class” – citing Lafayette’s risk-taking spirit and technological advantages. Lafayette is the perfect blend of all interests, making it a great place to live and enjoy life! Click here to read a detailed job description for our Nursing Home setting Occupational Therapist and submit your resume today to recruiting@therapyctr.cbm.codes. We are a group of fun-loving professionals who strive to always remain proactive and on the cutting edge of industry developments. We are dedicated to education, integrity, and superior patient care and always have room on our team for the BEST of the BEST! Call today to discuss what Therapy Center can offer you! Therapy Center is a leading provider of comprehensive therapy services offering physical, occupational and speech therapy in nursing homes, outpatient clinics, home health and hospitals.